If you are looking for a natural way to have a healthy skin and hair, then you are in the right place, because this spicy, pungent, mighty rhizome can deliver. 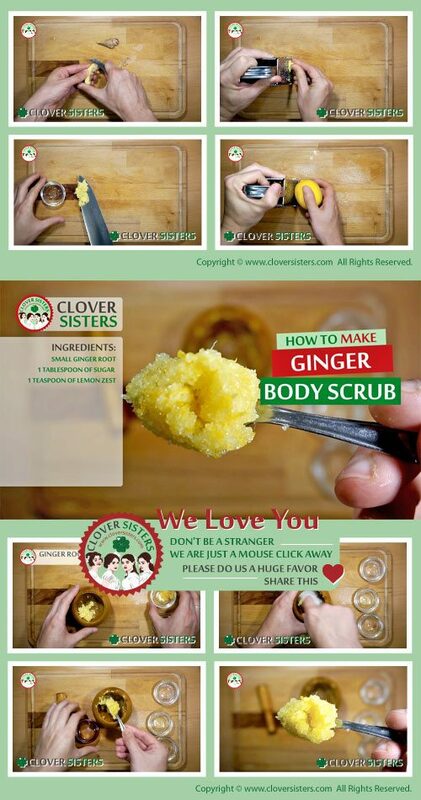 You can make ginger a part of your beauty routine because it is already present in commercial products you already use. Applying it topically may be extremely useful to resolve many skin and hair related problems because ginger is packed with antioxidants and is antiseptic in nature. Those antiseptic properties can be quite helpful if you want to soothes burns, clear blemishes and acne or reduce scalp infections and dandruff problems. Being a powerful cleansing and toning agent, this wonderful home remedy significantly removes the appearance of hypopigmented skin and also gets to work on toning your skin. The active constituent of fresh ginger known as gingerol is the reason why ginger is helpful in reducing the appearance of hypopigmented scars. This bioactive ingredient of ginger gives noticeable results when it comes to blemishes, acne scars or dark marks. Dirty hair doesn’t cause dandruff, rather fungus called malassezia which lives on the scalp and do not cause any problems, but some people have too much of it, and it can cause dandruff. Ginger have antiseptic properties which make it an excellent remedy for dandruff. Ginger also have anti-inflammatory properties which can soothe the scalp inflammation due to severe dandruff. Most of us already know that fighting blemishes and making your skin more radiant are ways to have a beautiful skin complexion. But if you want to achieve complexion perfection you may try to use ginger topically on skin because of its skin toning and skin whitening properties. Blend some gingerroot, add the lemon zest and crystal sugar. Quantities should depend on area you want to scrub. For the face, small ginger root and 1 tablespoon of sugar with 1 teaspoon of lemon zest would be enough.